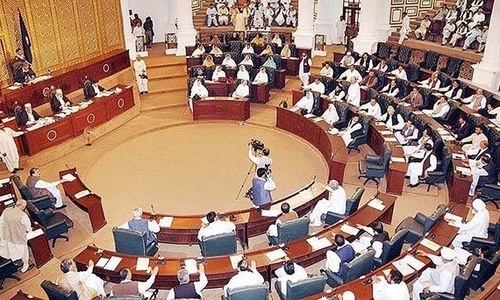 PESHAWAR: The leaders of various political parties have criticised the government for recent increase in prices of natural gas, LPG, fertiliser and electricity, demanding of Prime Minister Imran Khan to materialise his commitment and reduce rates of daily use items. In a statement, QWP provincial chairman Sikandar Hayat Khan Sherpao said that all of a sudden 46 per cent increase in the price of natural gas and Rs2 in electricity price was unjust and it would increase the miseries of the people. He said that PTI’s 100-day plan was nothing but lip service and people would not trust in the hollow slogans of the ruling party anymore. He said that the increase in the prices of gas and electricity was one example of the negative attitude of the government with the people. Mr Sherpao said that QWP would leave no stone unturned to safeguard the rights of the people and would raise voice for the people on every platform. He said that Pakhtuns were passing through a critical juncture of history as the sense of deprivation among them was increasing. He said that QWP would struggle to resolve their problems. Similarly, PPP Senator Bahramand Khan Tangi also described increase in prices of various items as failure of the government. He said that nominal decrease of Rs2 in the price of petroleum products was not acceptable to the nation. The senator said that the real face of the government was exposed within 24 days when it announced increase in prices of power, natural gas, fertiliser and Liquefied Petroleum Gas and fee for Computerised National Identity Card. He said that PPP would raise voice against such decisions. PML-N provincial information secretary Ikhtiar Wali said that Imran Khan always exploited the issues pertaining to prices of petroleum products and power when he was in opposition. “Now he himself will face public wrath,” he added. The PML-N leader described the price hike as materialisation of an agenda of anti-Pakistan lobby. He said that the nation was set to stand up against the government before completion of its first 100 days. JI provincial chief Senator Mushtaq Ahmed Khan also rejected the price hike and said that government would soon lose confidence of people if the decision regarding price hike was not reversed immediately.